The fun game of hacky sack is sure to remind you of fabulous afternoons after school where a group of friends would stand in a circle and try to keep the ball alive by kicking it to one another. Fun tricks like bag daggers, lifts, loops, ham spalts and milk tosses were part of the fun. Since you are now all grown up and your boss may not appreciate you playing hacky sack in your office, go for the next best thing and get yourself one of these hacky sack stress balls. The ball is a small version of the real thing and offers a soft feel so you can squeeze it, bash it, smash it and generally release all your frustration at your desk. This is the perfect stress toy. The fun design of the ball features panels in three different contrasting bright colours that intersect on the surface creating an eye-catching effect. Stress balls make fabulous promotional items and tend to find a place in sight of your client on the work desk and even in the car. 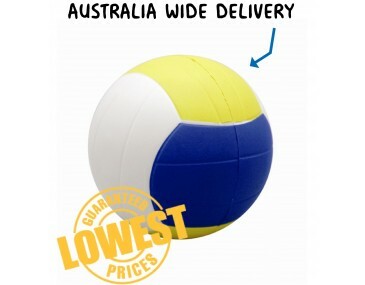 Get a step ahead of your competition and brand your company logo and graphics onto these balls. The light panel offers a perfect backdrop to highlight your company image. Hand them out at fun outdoor events, sporting days, school occasions and at corporate gatherings. They are sure to attract attention. Speak to us about branding suggestions, we are experts. Our listed price includes branding of your logo or graphic in a single colour print onto the ball.We use a process called pad printing on stress balls to decorate your item. Follow the link to find out more about this branding process. For a full colour photo finish on this stress toy, please refer to pricing on this table for digital full colour transfer printing. Follow this link for more information on full colour printing on stressballs.